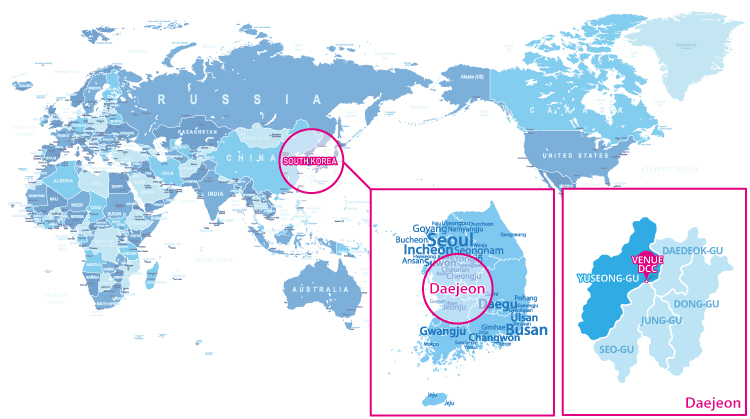 Daejeon is geographically located at the heart of the nation and functions as a transportation hub. Our venue, Daejeon Convention Center, is an Exhibition & Convention Centre located in Daejeon, Korea. Top Organizers hosting events at Daejeon Convention Center every year. Most international flights to Korea come through Incheon International Airport(ICN), the biggest airport in Korea. However, recently, some flight departing from some Asian countries arrive at Gimpo International Airport(GMP) near Seoul. So, It is necessary to check which airport you will arrive. We recommend you to take airport limousine for your convenience. Airport limousine buses are operated from each airport to Daejeon directly. It takes 2~2.5 hours from each airport. After then, taking a taxi from bus stop to venue is the best trip route. You can check more detailed and various transportation information below. This bus will stop at 4 locations in Daejeon and the third stop (Daejeon Chungsa=Government Complex Station) is the best stop for you to get off. You can take a taxi for convenience. Most taxis accept credit cards. *Most of Korea Taxi drivers can not speak English well, Please show follow message to them. 안녕하세요, 기사님. 대전컨벤션센터(DCC)로 데려다 주시면 감사하겠습니다. This bus makes the run by first-come service, please purchase ticket in advance. You can take AREX(Airport Express) at B1 floor, the transportation center in Incheon Int’l Aiport. AREX is available from Incheon Int’l Airport to Seoul Station. 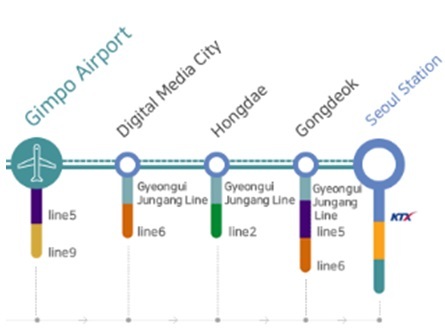 At Seoul Station, you can take the Gyungbu Line (to Dajeon/KTX). Incheon Int’l Airport Station is both on the B1 floor in the transit center. You can buy your tickets from information center or ticket machine marked below, and check the time table attached below. This bus will stop at 5 locations in Daejeon and the second stop (Daejeon Chungsa=Government Complex Station) is the best stop for you to get off. You can take AREX(Airport Express) near the central part of Gimpo Int’l Airport. The ticket can be purchased from the information center of ticket machines. 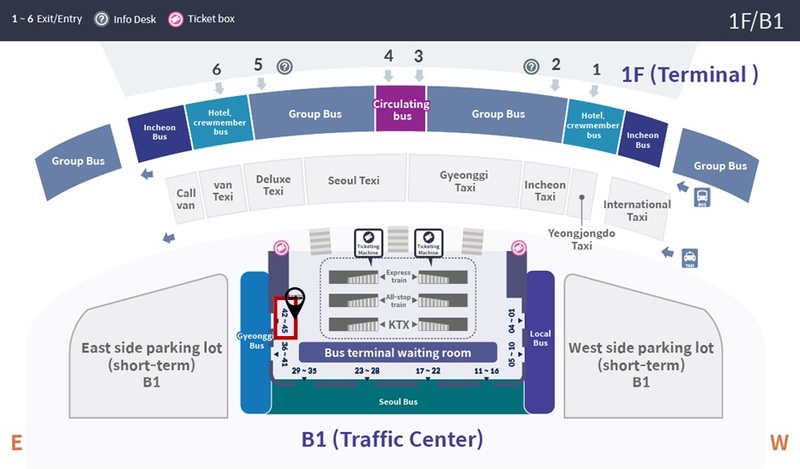 You can find the bus stop in front of Daejeon Convention Center (You don’t have to across the street). If you take Bus No.705, You can go to Daejeon Government Complex Station. Please take off at the bus stop ‘Prehistoric Site (sun-sa yujeokji)’ If you across the street, You can find the bus station. 안녕하세요, 기사님. 대전청사터미널(공항버스 타는 곳)으로 데려다 주시면 감사하겠습니다. - You can buy a transportation card at the convenience store. 안녕하세요, 기사님. 대전역으로 데려다 주시면 감사하겠습니다. -KTX is a high-speed train. 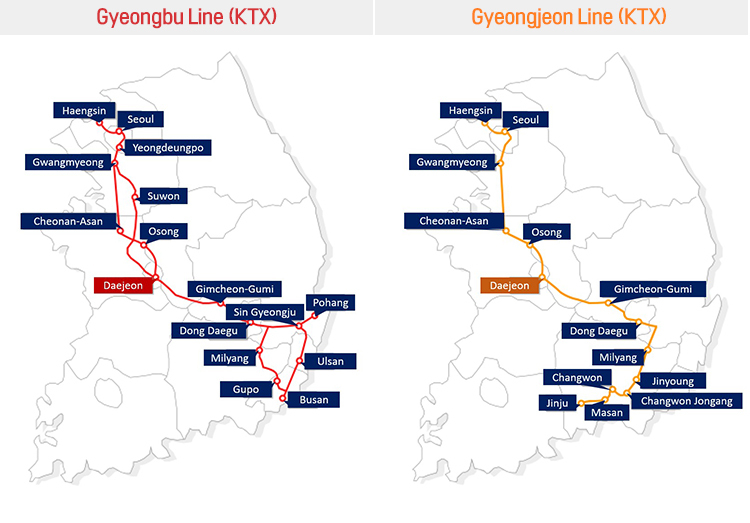 To Gwangmyeong Station, KTX is only operated. Getting Airport Limousine You can take the Airport Limousine from Gwangmyeong Station. 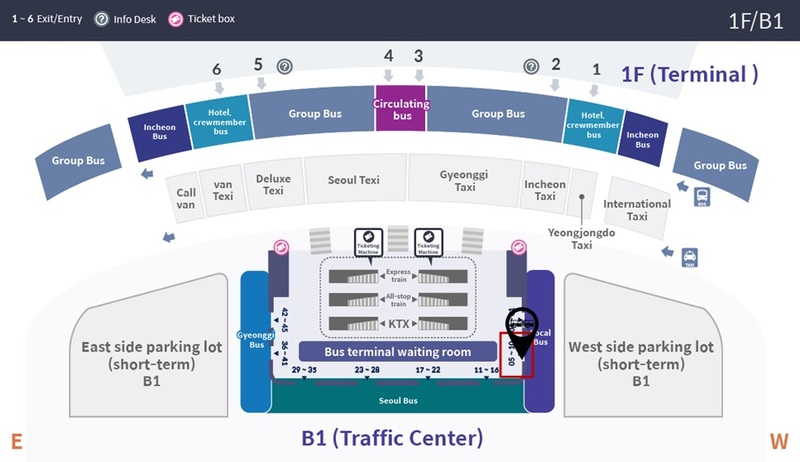 If you go out through Exit 4, You can find bus stop for KTX Airport Limousine. You can buy your tickets at the information center or by machine. You also can use transportation card. *This bus makes the run by first-come service, please purchase ticket in advance. -KTX is a high-speed train. I recommend you to take the KTX because of its fast speed. From Daejeon Station, you can take a regular train (Mugunghwa Train or Saemaeul Train) to Seoul Station. 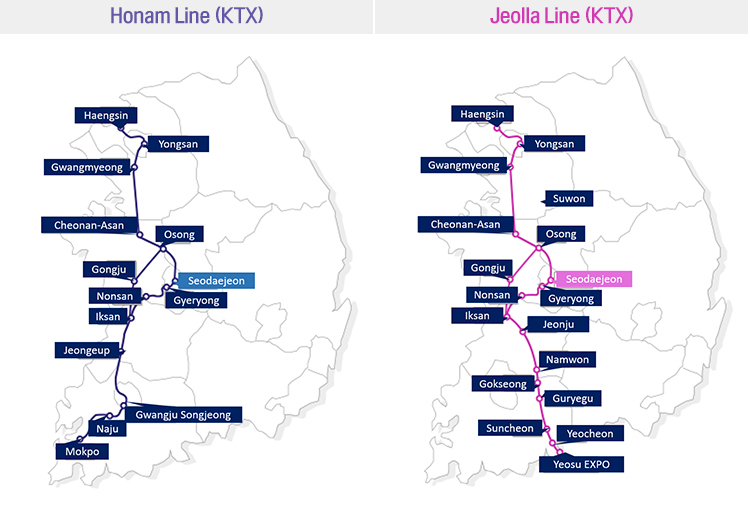 You can take the Airport Railway from Seoul Station. You can buy your tickets from information center or ticket machine. If you go to Daejeon Government Complex Station, You can take airport limousine to get Gimpo Int’l Airport. You can buy a ticket on-site. You can take the Airport Railway from Seoul Station. You can buy your tickets from information center or ticket machine. You also can use transportation card. You can find the bus stop in front of Daejeon Convention Center (You don’t have to across the street). If you take Bus No.618, You can go to Seodajeon station. Please take off at the bus stop ‘Seodaejeon Negeori Station’ You can have to walk about 10 minutes to get to the station.